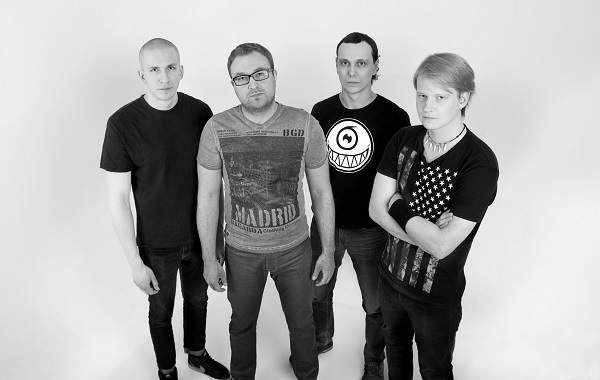 Gravity Rain is a one-man Rock and Metal operation based out of Samara, Russia. The man behind the music is the song writer by the name of Danny Klaven, a musician heavily inspired by the likes of In Flames, Manowar and Devin Townsend, not to mention Dream Theater. The latter two influences in his life clearly come into play with this brand new solo project and it’s debut EP The Shining Silence. While Metal at its roots, there’s an undeniable accessiveness through some Alternative Rock elements from time to time. But does this hold back the impact of the brand new release, or is it nothing more than an after thought you will pay no mind to? At first, The Shining Silence does seem like it may end up you every day mainstream Rock fodder with the typical Breaking Benjamin style riffing, though the additional Electronica elements and softer clean singing bring in a bit of Goth Rock along the lines of bands like Lacuna Coil. While the song does play by the radio friendly book, there’s a high level of professionalism on display, not to mention a great deal of emotion in the vocals that raise this to another level of honest, heartfelt modern Rock that really only ends up held back by the brief breakdowns and common chugging bridges. But those don’t make “Riddled” any less powerful or addicting. In fact, this is perhaps the most memorable, even moving song on the release. “Free Again” moves along at a slower pace, incorporating what appear to be keyboards, but could be more of the Electronica elements at work, that come through like a modern digital symphony behind the strong singing that conveys exactly what the lyrics themselves are expressing. Around the three minute mark, the Progressive Rock and Metal influence takes center stage, sending you on a relaxing, self-empowering journey fans of Jolly can easily appreciate. Finally there’s “Imagism,” which greets you with riffs Amorphis would be proud of. There is a hint of similar Folk Metal around the chorus, while inside the deeper, slower notes, additional digital elements against the sleek mastered sound of the EP makes it seem like you are standing in the middle of a storm on a large cliff, gazing out at the woodlands beyond with a song in your heart and the inability to decipher whether it’s the rain or your own tears flowing down your face. The heavier conclusion, however, breaks from that happiness, replacing it with the sensation of willingly falling off said ledge. When you hear the term Alternative Rock, it’s easy to expect generic fodder created to make a quick buck anymore. Danny Klaven, however, has greatly elevated that stereotype and made it something far more powerful and deep. With vocals as emotional and soothing as Mathias Blad (Falconer) at the forefront of three songs that span traditional Modern Rock formulas to rich and moving Folk Metal performances you won’t soon forget, The Shining Silence ends up a far more personal experience than one might expect based on the first minute of hearing the opening track “Riddled.” One spin through and you’ll realize there’s more to this man than meets the eye, and there are a lot of great songs yet to come. 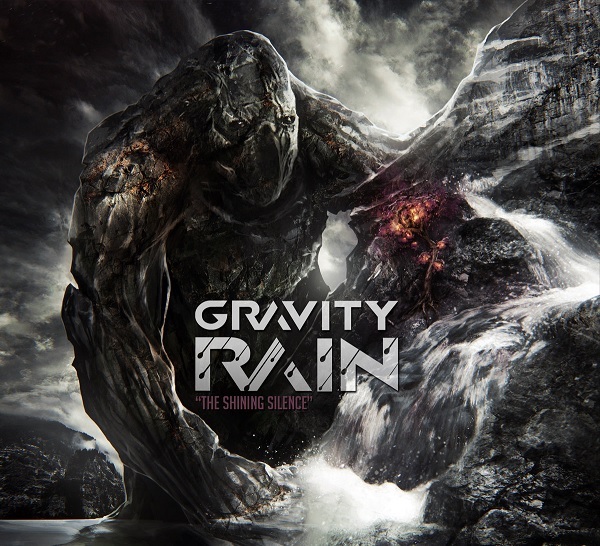 Of course you can hear what’s available now by grabbing it from the official Gravity Rain Bandcamp account at a “name your price” expense, so there’s absolutely no reason to ignore such a superbly constructed and performed creation such as The Shining Silence. Digital review copy of this release provided by Gravity Rain via Quite Great PR.